Rick Springfield and Richard Marx join forces to bring their catalogues of hits to Carpenter Theatre at Dominion Arts Center in Richmond. The public will have an opportunity to offer comments regarding the Virginia State Police when a national accreditation team arrives in Richmond. Playing before a giant crowd at ARM & HAMMER Park, the Flying Squirrels got a great tune up for the annual Independence Day celebration at The Diamond. The Richmond Flying Squirrels announced that the annual Independence Day celebration contest on Monday, July 4th is officially sold out. Seven residential properties in flood-prone areas of Virginia will be elevated and another six properties will be acquired to reduce future flood damage. KISS will salute members of the National Guard and Reserve forces in over 30 U.S. cities during their 2016 ‘KISS: Freedom to Rock’ tour. Virginia Production Alliance Executive Board officers and members were recently announced for the 2016-2017. The Portland Sea Dogs (25-43) completed a three-game sweep of Richmond (26-43) with a 9-5 win on Sunday at The Diamond. 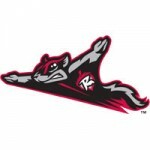 Right-hander Kyle Crick turned in his finest performance as a member of the Flying Squirrels but Richmond was defeated by Portland. Maurice Jones was named today as president and CEO of the Local Initiatives Support Corporation (LISC). 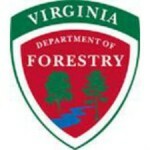 Three veteran employees of the Virginia Department of Forestry have assumed new leadership roles within the agency. The Science Museum of Virginia is celebrating the messiest (and most fun!) parts of science in a new summer festival, MessFest, on Saturday, June 25. Adalberto Mejia continued his dominance of the Eastern League with seven shutout innings on Saturday as the Flying Squirrels downed Portland, 4-1. The VCU School of Pharmacy will soon welcome Barbara Exum, Pharm.D., as director of the newly established Center for Compounding Practice and Research. DVDs of “Heroin: The Hardest Hit,” an award-winning documentary on the impact of heroin and prescription drugs, are now available. The Harrisburg Senators (29-25) swept the Flying Squirrels (19-37) in both games of a doubleheader on Saturday at The Diamond. Attorney General Mark R. Herring comments on proposed rules from the CFPB to protect consumers from predatory lending. The Flying Squirrels (18-35) and Bowie Baysox (21-31) split a doubleheader at The Diamond on Wednesday evening. Flying Squirrels lefty Adalberto Mejia turned in a Memorial Day masterpiece on Monday as he shutdown Erie (20-30) in a 1-0 Richmond (17-33) win. Filtroil, a Richmond-based provider of industrial oil filtration products, signed multiple distributor agreements with customers. The Flying Squirrels (15-31) turned in their third consecutive win on Thursday morning with a 4-1 victory over the B-Mets (18-27). Virginia Organizing leaders stress the importance of addressing concerns about the Anthem-Cigna mega-merger. Del. Steve Landes was named to the new Joint Committee on the Future of Public Elementary and Secondary Education in the Commonwealth. Governor Terry McAuliffe this week took executive action to give Virginians affected by a weekend computer disruption additional time to renew driver’s licenses. Richmond lefty Adalberto Mejia earned his first win of the season on Tuesday as the Squirrels (13-31) blanked Binghamton 3-0 (18-25). Governor Terry McAuliffe announced today a new statewide initiative to better understand where Virginia has the largest gaps in broadband coverage. 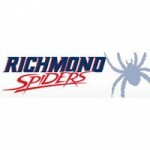 Richmond (12-31) opened up an eight-game road trip on Monday night with a difficult, 2-1 walkoff loss at NYSEG Stadium. Del. David Toscano and Del. Charniele Herring issued statements regarding the Republican attempt to strip voting rights from over 200,000 Virginia citizens. Gov. Terry McAuliffe released the following statement after Republicans filed a lawsuit to preserve Virginia’s policy of disenfranchising ex-felons. 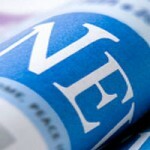 Republicans are filing suit to halt enforcement of Gov. Terry McAuliffe’s order restoring the political rights of more than 206,000 convicted felons. 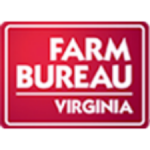 According to the USDA, Virginia farmers produced more than half a billion bushels of grain and soybeans between 2006 and 2012. Dozens of activists literally “blew the whistle” on Dominion’s greenwashing of its dirty power and dirty politics. The Flying Squirrels took out a season’s worth of frustration all in one night against the Erie SeaWolves in a 9-0 win on Saturday. Last week I attended my first meeting as a member of the Joint Legislative Audit and Review Commission (JLARC). Governor Terry McAuliffe announced initiatives that will further develop unmanned systems technology to strengthen the new Virginia economy. 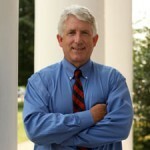 Attorney General Mark Herring’s initiative to combat human trafficking was recognized with the prestigious Commonwealth Award for Public Service. Gov. McAuliffe vetoed a bill allowing funds that are abandoned in certain types of court cases to be directed to the Virginia Housing Trust Fund. The Flying Squirrels (10-30) woes continued on Friday night against the Erie SeaWolves (17-23), dropping the series opener on Friday, 6-1. 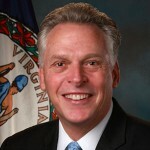 Virginia Commonwealth’s Attorneys criticized Governor Terry McAuliffe’s executive order restoring the political rights of more than 206,000 convicted felons. 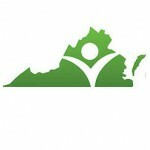 The Virginia legal community has joined together to collect food for Virginia’s hungry during the 10th Annual Legal Food Frenzy. The Trenton Thunder (22-16) snapped an 8-8 tie with a four-run eighth inning, sinking the Flying Squirrels (10-29) to their 13th consecutive loss. 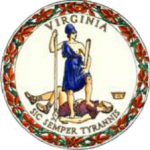 House Speaker William J. Howell issued a statement on the U.S. District Court’s ruling upholding Virginia’s photo identification law.